It’s still one of the classic ways to begin a story. If you haven’t started a story with Once Upon a Time… you’ve most certainly read one that did. Somehow, even as kids, we know immediately what to expect. There will be heroes, villains, an obstacle to overcome, and in between all that maybe a princess to rescue. So in this week after the wedding of a Prince, we thought we’d praise what is one of the most simple and effective plans on StoryPlanner.com. The Pixar Once Upon a Time story plan. It starts with that most simple of story introductions. Then come more prompts, each designed to move your story along and make you think clearly about what you want to happen next. Before you know it, it’s taken you through all the adventures and escapades you’d find in a typical story. The outline of your story is ready — waiting for you to start adding characters, setting, and all that other magic you conjure up when writing. It’s not limited to stories that involve Princes and Princesses, or even those aimed at young readers. As you fill in the plan you’ll start to notice something. It works for any story. 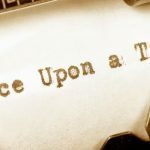 All stories, from fairy tales to adult fiction, share the same elements of the Once Upon a Time structure. And if you’re struggling with the plot to your own story, breaking it down into its most fundamental elements can be a great way to fix the tricky bits that have been slowing you down. That goes for whether your story features princes, princesses, dragons, or merely the paparazzi. Well, until finally you and your story live happily ever after. But then we would say that. If you’re looking for a simple way to plot your story, or if you’re trying to get an old project restarted, or if you need to make sure the structure of your novel works in the most simple of ways, the Pixar Once Upon a Time Story Spine is ready to come to the rescue. You can try the Pixar Once Upon a Time Story plan absolutely free on StoryPlanner.com. Click here to get started.